Winter’s coming… and with it, preparation for winter activities on the part of all creatures on the Randolph Community Forest– including a slightly uncommon species, the backcountry skier. 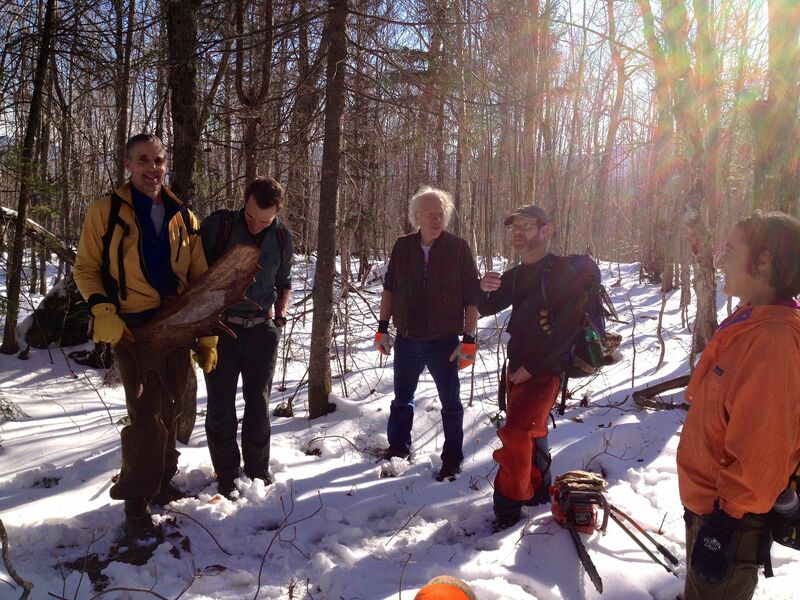 This weekend, a crew of about a dozen volunteers recently set to work, clearing more backcountry skiing routes on the Randolph Community Forest. The areas the crew worked on were skid roads and old logging roads, that make for some of the best backcountry skiing on the Forest. 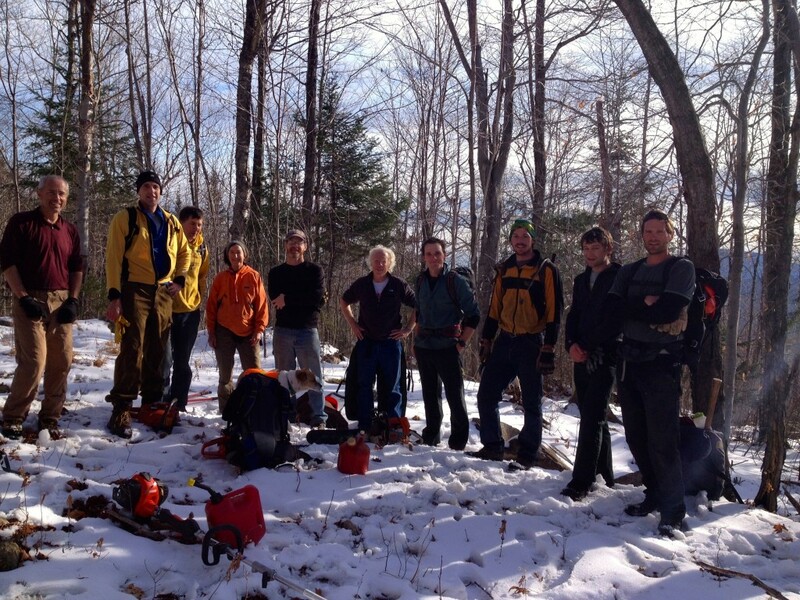 Four chainsaws and two brush saws worked away, and the crew cleared about two miles of ski routes. One new route connects the clear cuts next to Cook Path with community forest logging roads, making for a great loop ski of about three miles, with some fun downhill runs. Additional work was done on other routes, farther to the north. All routes are roughly cleared, and more challenging to follow than traditional trails. They require strong backcountry navigation skills and are sparsely marked, if at all. For information on the backcountry skiing routes that exist on the Randolph Community Forest, please contact Doug Mayer via email, via sherpamayer (at) iCloud (dot) com. Thanks to the entire crew who made it out, including Anthony Brezzo, Peter Brockett, Abby and Dave Evancow, Chris Hawkins, Jeremiah Hawkins, Jason Hunter, Ben Phinney, Dave Salisbury, Ben Schott, and Val Stori. The crew on Cook Path, about to get to work. Peter Brockett made an interesting discovery on the Forest!